There's a very special reason large cents from 1793 are spending more time in the numismatic spotlight recently. 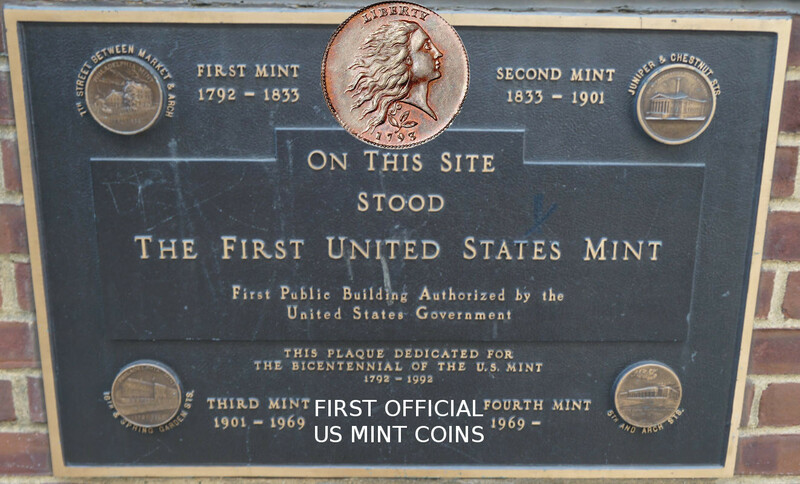 They represent the very first official coinage of the United States Mint, which was established in Philadelphia in 1792 and began striking federal coinage in 1793. 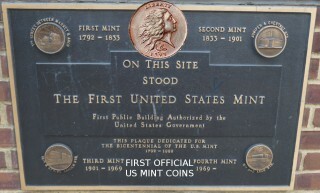 The United States Mint first struck copper coins, which were initially distributed in March 1793. The half cents and large cents of 1793 were made in very small numbers. The Mint's first delivery of coins consisted of 11,178 large cents – that's just $111.78 in face value. All told, the U.S. Mint made only 110,512 large cents in 1793. Of these, the most historically important are the 1793 Chain cents, which were the very first coins released by the Mint, and only 36,103 were made. The Professional Coin Grading Services (PCGS) estimates well less than 1,000 exist, and most of these are in the lower grades. The demand for these early large cents far outstrips supply, and this is borne out in price figures for the 1793 large cent, especially the Flowing Hair obverse/Chain reverse variety that marks the very first coins minted. Most price guides list About Good-3 specimens at around $4,500, and Good-4 specimens are charted at $7,500 and up. Meanwhile, on eBay, even certified specimens grading only Poor-1 or Fair-2 list – and trade for – more than $3,000. It's the kind of coin that registers high demand not just from numismatists, but also American historians. These are, after all, the very first official United States coins, and there simply aren't many left. As a coin collector, what are you to do if you're interested in buying an early large cent for yourself? If your goal is to buy one of the very first 1793 large cents – a Chain cent – you'll want at least $3,000 or $4,000 to play around with, and preferably more if you want to bid against eager buyers. You might also opt for one of the other 1793 large cents – also relics of the early United States Mint. The 1793 Wreath cent trades for closer to $3,000 in Good-4, and some Fair-2 or About Good-3 specimens sell for right around the $1,000 mark, sometimes higher or lower depending on the individual quality of the specimen. The 1793 Liberty Cap obverse large cent is also relatively more affordable than the 1793 Flowing Hair Chain cent and is a little pricier than the 1793 Wreath reverse cent. Prices for the 1793 Liberty Cap cent hover around $5,000 to $6,000 for a Good-4 specimen, with even Poor-1 examples trading for $3,000, more or less. If any of the 1793 large cents prove to expensive, you might consider buying a later large cent from the "early" era, which generally spans from 1793 through 1814. There are many good finds to be made among the early large cents, with well-circulated 1798 large cents trading for closer to $150 to $300. Some of the Classic Head large cents, made from 1808 through 1814, sell for $75 to $125 in the well-circulated grades. It probably goes without saying that any of the early large cents would make historic additions to any collection.